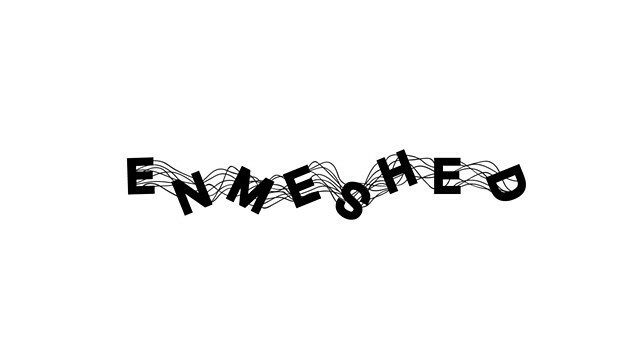 Opalka Gallery at Sage College of Albany is pleased to present the third Screenprint Biennial. 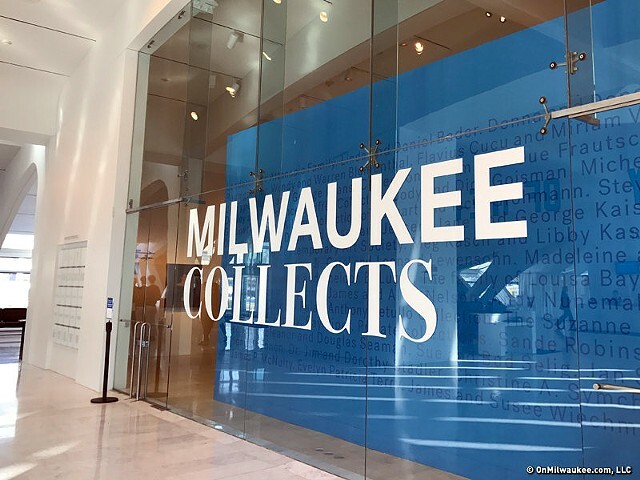 The exhibition opens November 1 and runs through December 14. 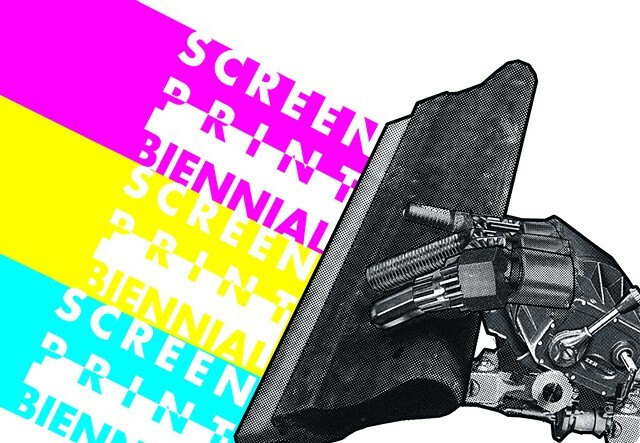 The artists of the Screenprint Biennial 2018 are Alejandro Arauz, Tyanna Buie, Myles Calvert, Sara Carter, Stanislaw Cholewa, Amy Cousins, Briar Craig, Dadisi Curtis, Josh Dannin & Todd Irwin, Nadya Eidelstein, Hannah Fray, Olivia Fredricks, Molly Goldwater, Sheila Goloborotko, Emily Harter, Matthew Hopson-Walker, Mark Hosford, Neah Kelly, Amanda Knowles, Michael Krueger, Rachel Livedalen, Josh Macphee, Tatiana Potts, Nick Satinover, Robert Schwieger, Corrie Slawson, Jillian Sokso, Corinne Teed, Tonja Torgerson and Wendi Ruth Valladares. 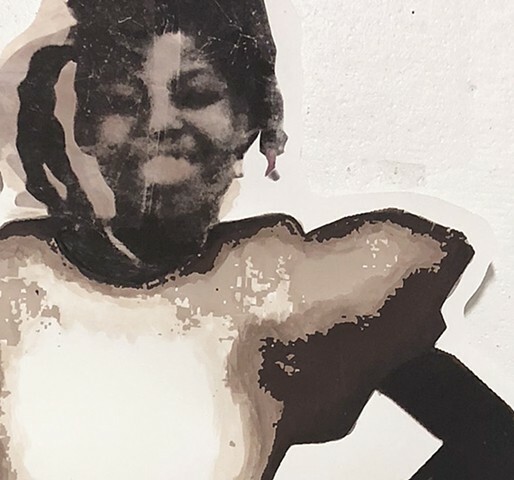 Having grown up in foster care, Tyanna Buie doesn’t have a lot of family photos or mementos so she makes art to make up for the lack of physical evidence from her past. 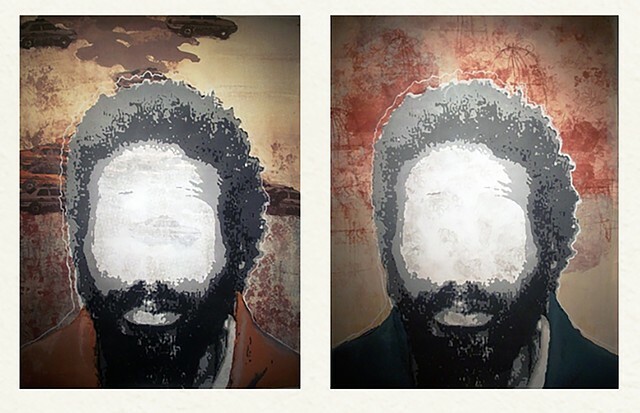 She’s literally re-creating her personal history through large-scale, mixed media works. 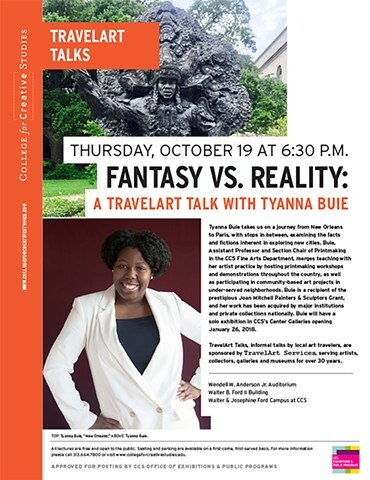 Focusing on specific, personal accounts and micro-histories that elucidate the crisis of mass incarceration from distinct and singular perspectives, On the Inside Out highlights such themes as isolation, invisibility, psychological barriers, the absent or unseen body, and the actual prison wall itself. 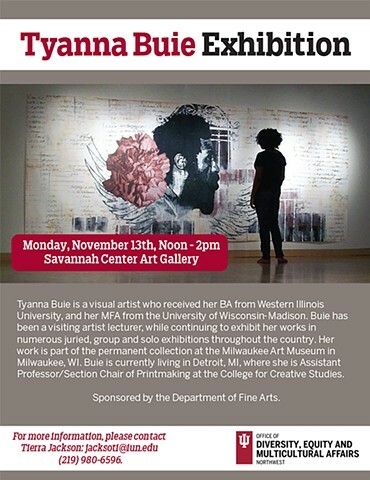 Artists include Maria Gaspar, Cheryl Pope, Tyanna J. Buie, Ashely Hunt, Sherrill Roland, and Hank Willis Thomas. 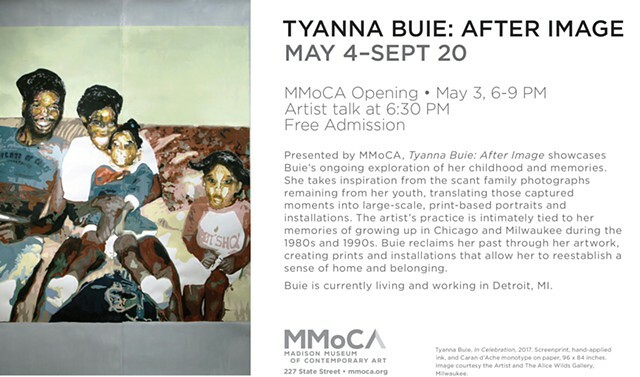 Im•Positioned: Photographs and other material evidence of Tyanna Buie’s disrupted childhood are rare. 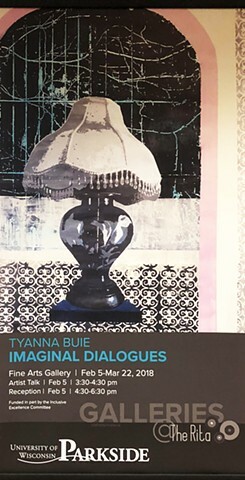 In these new works, Buie continues to rely on the collective memory of her family to make connections between the past and present. 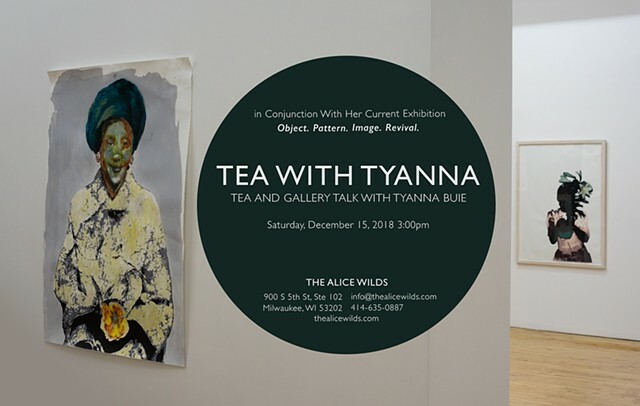 She gathers memorabilia and re-visits and revives previous impressions from familial accounts and recollections to create large-scale monotypes and screen prints. 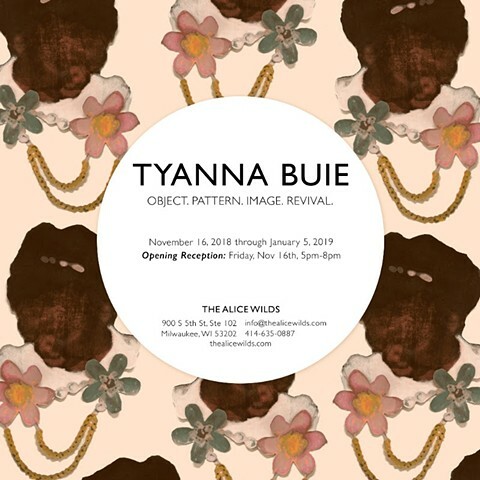 For Im•Positioned, Buie places these personal investigations in a larger context, responding to the work of other artists in residence at Lynden for Call & Response: echoing the family references in Folayemi Wilson’s Eliza’s Peculiar Cabinet of Curiosities and capturing Reggie Wilson’s bodies in motion. 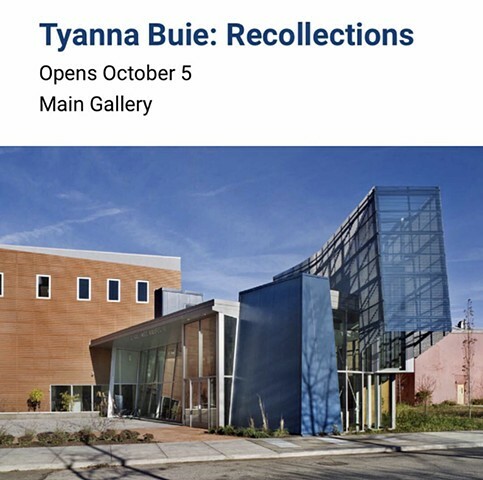 Buie was a 2012 Nohl Fellow, and this exhibition has been organized in conjunction with the 15th anniversary of the Nohl Fellowship. 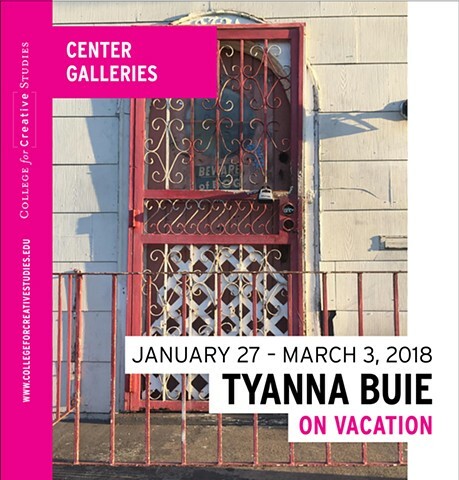 "On Vacation" is an immersive print-based installation project by artist and CCS Fine Arts Section Chair of Printmaking, Tyanna Buie. 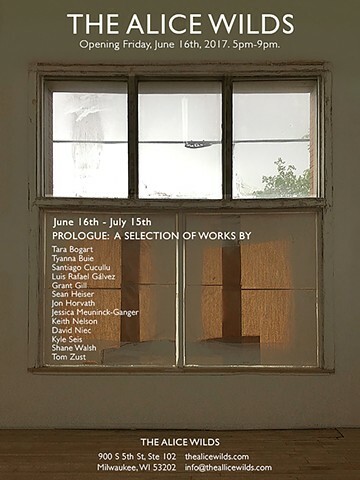 Round in Circles is a group exhibition that explores formal and metaphorical implications of the circular. 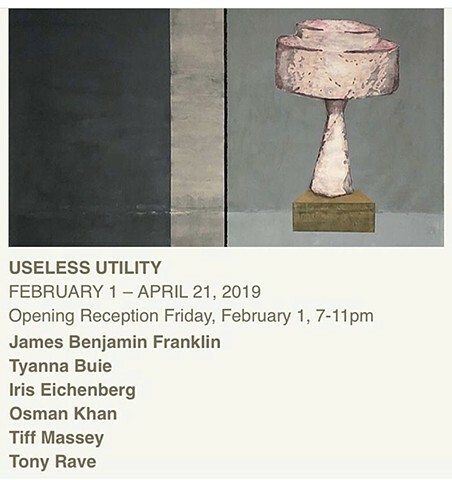 Probing the banal to the absurd to the disheartened, each work included in the exhibition employs some form or manifestation of a circle, loop, spiral, cycle, spin, circuit or hole. The exhibition reflects on a broader, collective feeling of the times, that of moving without getting anywhere, ending at the beginning, of literally going round and round in circles. 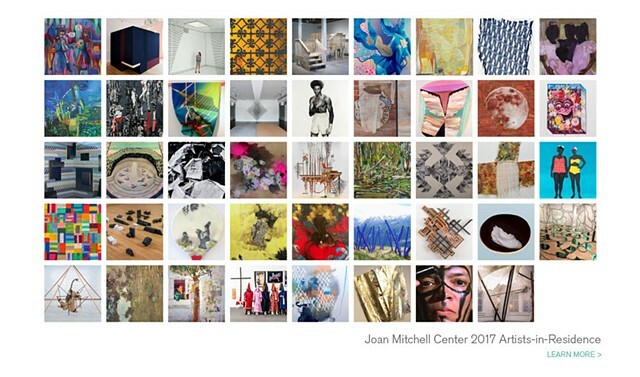 On View until May 21st 2017!! !